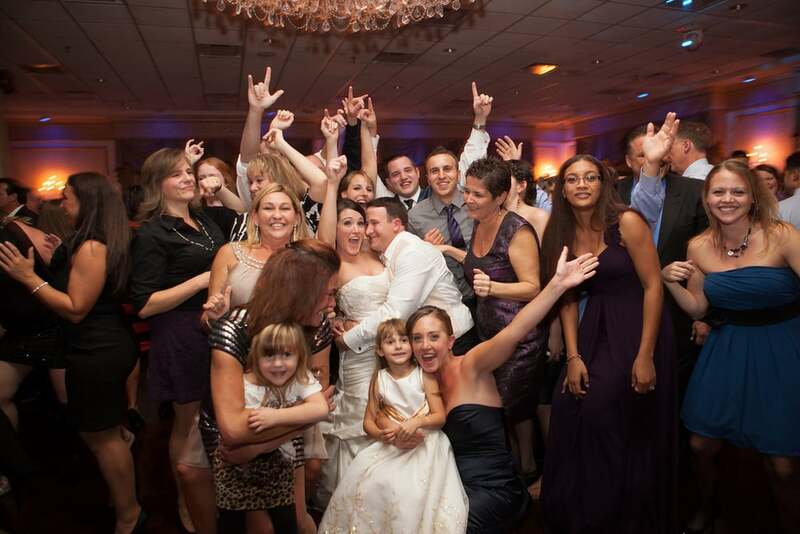 We are Colorblind Productions serving the DJ, entertainment and visual needs of every type of client. Located in New Jersey and serving the greater New York Metro Area, Colorblind Productions caters to its clients with a centered focus on their specific needs. 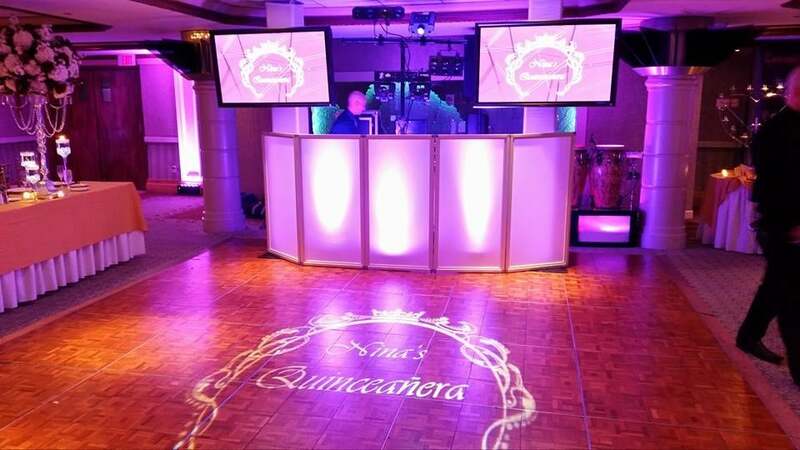 We offer a variety of services including DJ, photo, video, custom gobo, projection, karaoke, lighting and plasma screens. Dance on a cloud or light up your event with custom lighting! 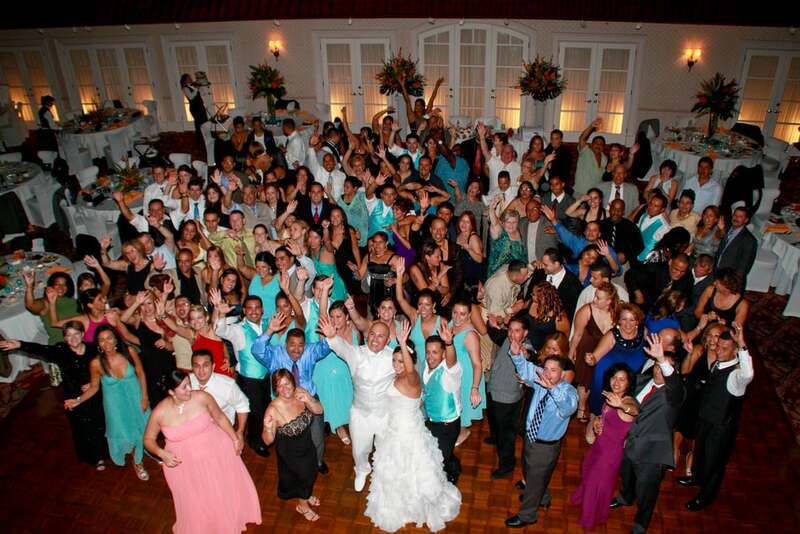 We are specialized in multi-generational, multicultural & Latin weddings and offer bilingual M.C. 's in Spanish and Portuguese. From weddings to corporate events, sweet sixteens to neighborhood tree lightings, there is not an event Colorblind Productions cannot meet. Please follow our Facebook page to see us at public events such as trunk or treats and mc'ing events like the Tour de Elizabeth. Think of us when planning school events or private parties for everything from background sound to plasma screen rentals for the 'big game' and tailgates. We've got you covered for those special days and your every day! (732) 599-9056 - mobile send a text! Standard 4 hour event. Sound and Music. One DJ that works as your MC. One percussionist playing alongside DJ during reception. Multiple percussionists available at an additional cost. Rentals are a cost effective way to do-it-yourself and/or a great alternative for smaller events. 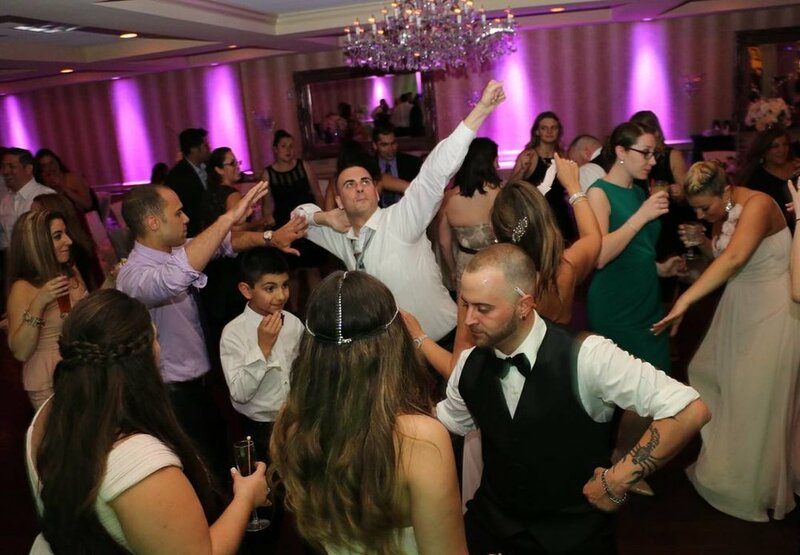 One DJ up to four hours to mix client provided music via iPod or mp3 . Professional sound system, microphone and limited MC'ing. All music must be provided in advance of the event. Includes delivery and pick up as well as instructions on use. One 1800 lumen projector and one 60 inch front projection screen. All wires and connections. (DVD Player available upon request). Includes delivery installation and dismantling. Two 50 inch plasma screens on free standing units. All wires and connections. Attendant available at an additional cost. Professional sound system and microphone. Delivery and set up of sound system and pick up at event end. Audio Mixing Console available for an additional cost. One or two 50 inch plasma screens on free standing units. Video mixing board and operator to transition: candid photo images taken by photographer (not meant to replace/interfere with professional photographer) who attends the ceremony & reception, Live streaming video mounted above screens and remote operated (not meant to replace/interfere with professional videographer) custom title/monogram, photo montage/slideshow and ambient visuals. Slide show projected on projection screen. Includes scanning and digital enhancements of all photos, no limit to the number of photos shown, full editing, choice of music. Includes a copy of the final presentation on DVD. Edited video of ceremony or pre-event celebration presented at the reception/party. Videographer is unobtrusive and not meant to replace/interfere with professional videographer. Includes a copy of the final presentation. Large collection of items available to hand out including hats, sunglasses, sound makers, lighted led items, etc. collection of over 110,000 songs in three different languages to choose from. Three microphones and an LCD Screen displaying lyrics. This cost is in addition to DJ services. Contact us for standalone Karaoke cost. 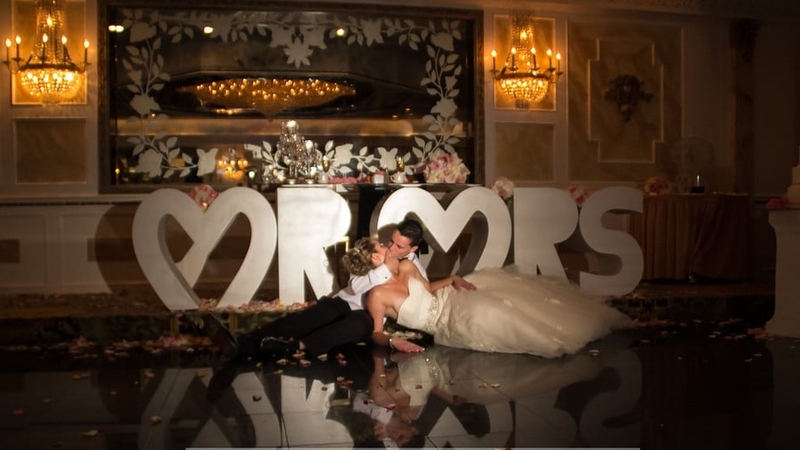 Open Air Photo booth placed in reception room. Plasma Screen display of video in slow motion so guests can view. Collection of props for guest to use. Lots of glitter and confetti. Footage available post event. Attendant on hand. 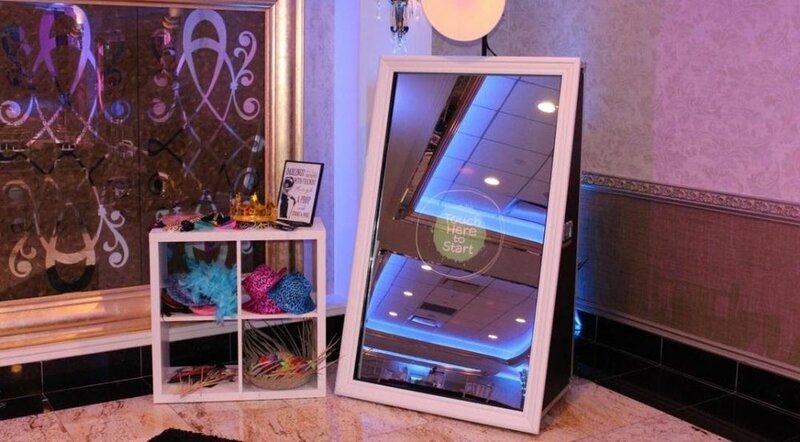 This new Interactive Photo Experience "Mirror Photo Booth" is a full length mirror that detects when the subject is in front of it. The mirror has a touch screen with vibrant animations, vocal guidance, and other interactive concepts. Wireless LED decorative lighting units placed around the room along the walls. Set to the color of your choice and/or programmable. Professional photography taken with digital SLR Cameras. 2 Photographers providing 8 hours of coverage. 600 proofs selected and developed on 4x6. All photos uploaded to a secure website where you can view and purchase prints. Original Raw Digital JPEG of pictures on DVD for you to compose as you wish. Album option available at additional cost. Packages are set up to roll our must popular options together at significant savings! Two person team up to 5 hours of sound, music and MC'ing (Spanish & Portuguese available), secondary audio set up for cocktail hour included (if necessary), basic lighting & party favors. PHOTO - Professional photography taken with digital SLR Cameras. 2 Photographers providing 8 hours of coverage. 600 proofs selected and developed on 4x6. All photos uploaded to a secure website where you can view and purchase prints. Original Raw Digital JPEG of pictures for you to compose as you wish. Album option available at additional cost. VIDEO- DVD Discs are Standard (Blue Ray Disc available at additional cost) HD cameras. Bride, Ceremony & Reception Coverage. All unedited Raw Footage. DJ - Two person team up to 5 hours of sound, music and MC'ing (Spanish & Portuguese available), secondary audio set up for cocktail hour included (if necessary), basic lighting & party favors PHOTO - Professional photography taken with digital SLR Cameras. 2 Photographers providing 8 hours of coverage. 600 proofs selected and developed on 4x6. All photos uploaded to a secure website where you can view and purchase prints. Original Raw Digital JPEG of pictures for you to compose as you wish. Album option available at additional cost. VIDEO- DVD Discs are Standard (Blue Ray Disc available at additional cost) HD cameras. Bride, Ceremony & Reception Coverage. All unedited Raw Footage. DJ - Two person team up to 5 hours of sound, music and MC'ing (Spanish & Portuguese available), secondary audio set up for cocktail hour included (if necessary), basic lighting & party favors PHOTO - Professional photography taken with digital SLR Cameras. 2 Photographers providing 8 hours of coverage. 600 proofs selected and developed on 4x6. All photos uploaded to a secure website where you can view and purchase prints. Original Raw Digital JPEG of pictures for you to compose as you wish. Album option available at additional cost. DJ - Two person team up to 5 hours of sound, music and MC'ing (Spanish & Portuguese available), secondary audio set up for cocktail hour included (if necessary), basic lighting & party favors. VIDEO- DVD Discs are Standard (Blue Ray Disc available at additional cost) HD cameras. Bride, Ceremony & Reception Coverage. All unedited Raw Footage. Call (908) 355–9411 daily to set up an appointment or e-mail at at info@colorblindprd.com. Requested appointment times will be confirmed within 24 hours. We're excited to talk to you! Colorblind Productions® is a registered trademark. All titles, content, artwork, and associated imagery are trademarks and/or copyright material of Colorblind Productions®.